The H.A. Leeper Speech and Hearing Clinic is located in Elborn College, which is situated on the northwest corner of Western and Sarnia Roads. 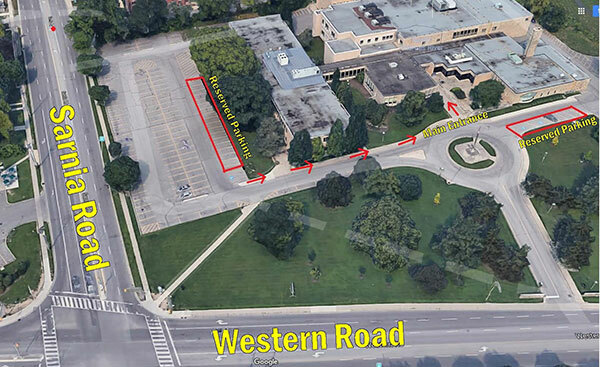 The driveway leading to Elborn College is located off of Western Road (to the west), just north of Sarnia Road. The front doors to Elborn College are located on the east side of the building just beyond the end of the driveway. Proceed through the main entrance doors, turn left and proceed through another doorway. Take an immediate right (180 degrees) and proceed up the ramp. The Clinic is located at the top of ramp.